Mumbai: Pakistani actress Qandeel Baloch who had earlier promised to perform a “strip dance” had Pakistan defeated India in ICC World Twenty20, but after Virat Kohli’s fifty led India’s charge performance to take a 6-wicket win over Shahid Afridi-led side; she performed a special dance for the Indian fans. 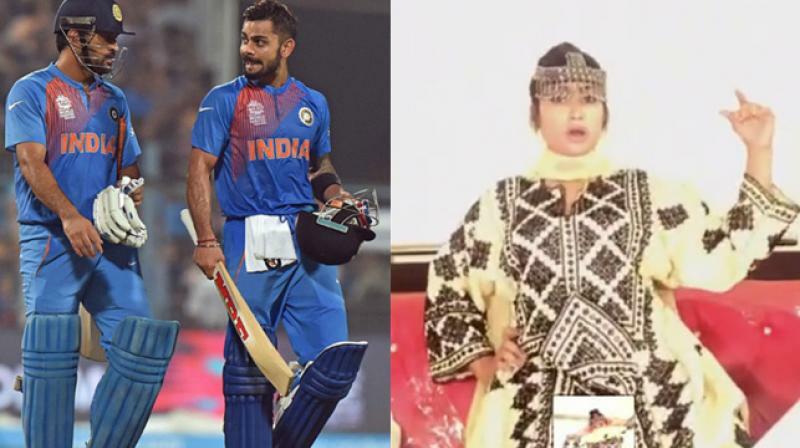 Now, this win has led Indian fans to keep alive their hopes to make it to the semifinals of the World T20; But the loss has subjected Shahid Afridi and his Pakistani cricket team to a lot of criticism from Qandeel Baloch. Earlier she had also urged Afridi to defeat India at India-Pakistan iconic match in Kolkata. She had asked Shahid Afridi “to retire” and coach Waqar Younis “to die”. She had earlier called Afridi “mad” after Pakistan loss in the Asia Cup. However, after the loss of Pakistan Team led by Afridi vs Indian Team led by Mahendra Singh Dhoni and victory fifty by Virat Kohli. She got so much frustrated and hit out Shahid Afridi-led side. But still after this fairy but real tail, She did not stop her and went on to perform for the Indians in a “Balochi Traditional Dress”.